We are all about music in Mu Beta Psi. The purpose of our fraternity is to encourage and facilitate music at Michigan Tech and the surrounding communities. Mu Beta Psi is dedicated to serving our musical community. As members of the music organizations and Michigan Tech, we give back to them by offering our time and services. We host concerts, gift scholarships, feed bands, move equipment, usher concerts, organize libraries, and so much more for the music programs at MTU, local high schools, The Calumet Theatre, and more! 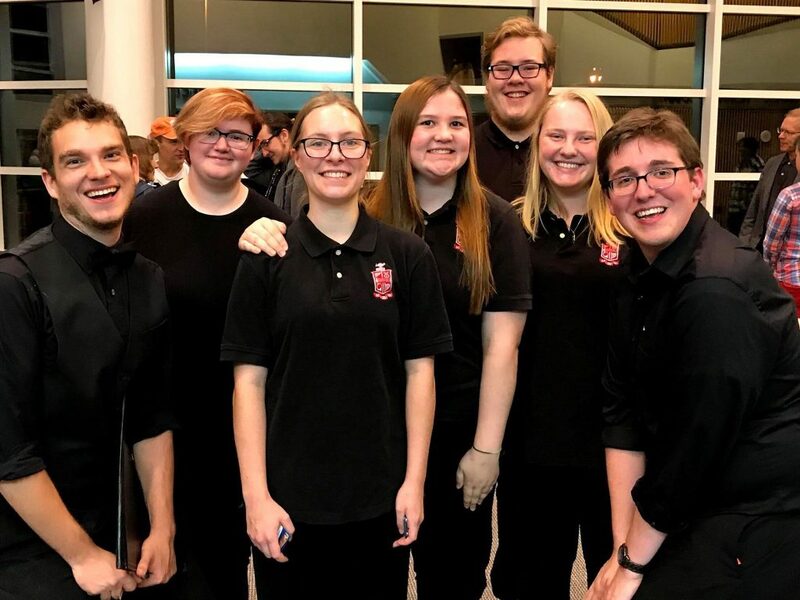 If you have a musical event or organization in the Houghton/Hancock area that needs a helping hand, please contact our music committee chair use our contact page. Here are some services we’ve performed in the past. We’re always looking to expand our list. Each spring we award our John MacInnes Student Scholarship to a Michigan Tech student who we feel has made great strides in the musical community at Michigan Tech and their respective musical group(s). The funds for this scholarship are raised at an annual scholarship concert. To apply for this scholarship, simply fill out this form by April 19. If you have any questions, contact our Philanthropy chair, Ryan McCoy, using our contact page.